The biggest scooter in the two wheeled world is really a mid sized touring motorcycle under its plastic panels, with a punchy 638cc twin cylinder motor makes a claimed 54bhp which is enough to send the 650 Burgervan to about 110mph. Too heavy, too wallowy in the corners and short on luggage capacity for serious touring riders. 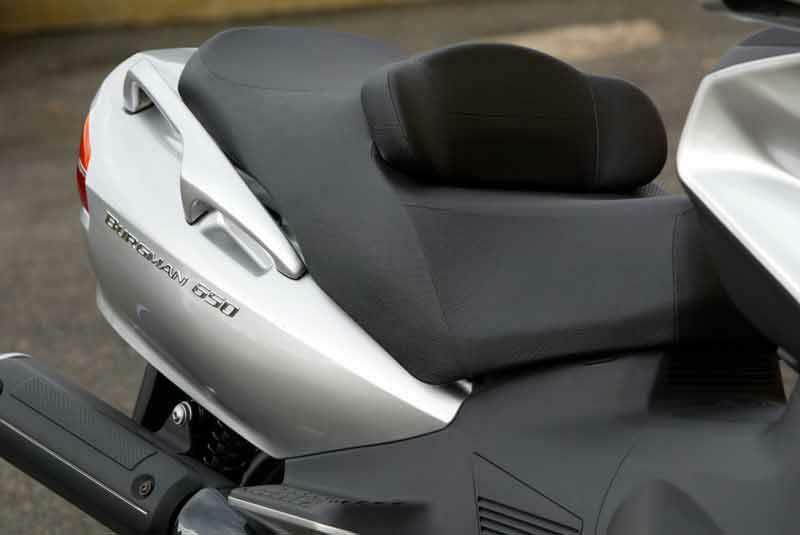 The 650 is simply too heavy to handle really well at high speed, but below 80mph it's fine. There's a feeling of real luxury in the suspension set-up and the saddle is so soft you'll feel like your in your fave TV armchair as you glide down the A38. 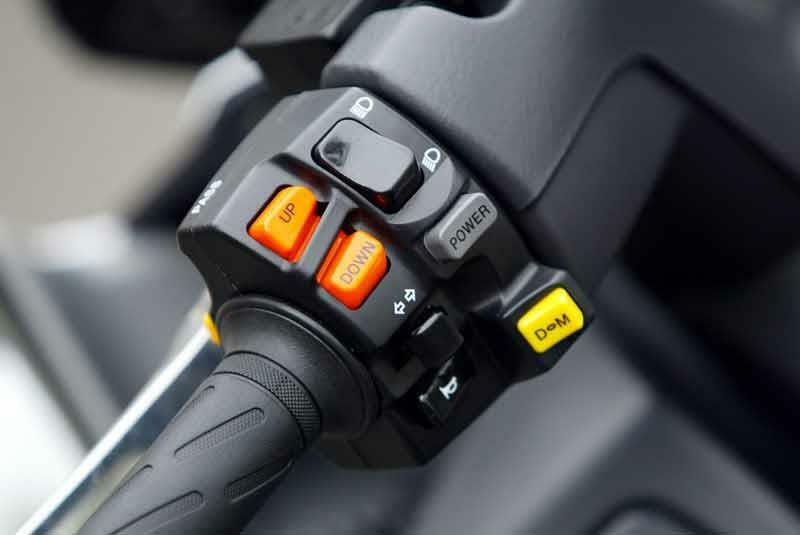 The Burgman 650 has normal and `Power' auto modes on its auto gearbox, which allows the rider to selct how much acceleration they require - plus a manual mode, so there are five push button gears to choose from. Trick, but about 50bhp in a scoot weighing 238kgs dry is never going to win any drag races against proper bikes. 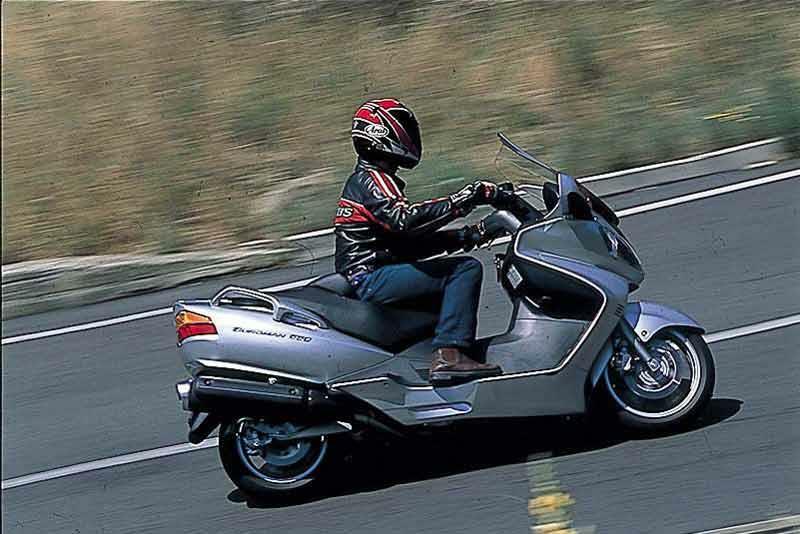 Suzuki excelled themselves when they created the 650 Burgman, as if they wanted to out-Honda the Silver Wing. It almost comes off, but the underside of all the Burgman models - from 125 to 650 - need careful attention to prevent corrosion setting in rapidly. The 650 Burgman Executive (with ABS) costs a whopping seven grand. Ridiculous for a scooter and the Deauville 700 does the job of touring just as well for nearly a grand less. 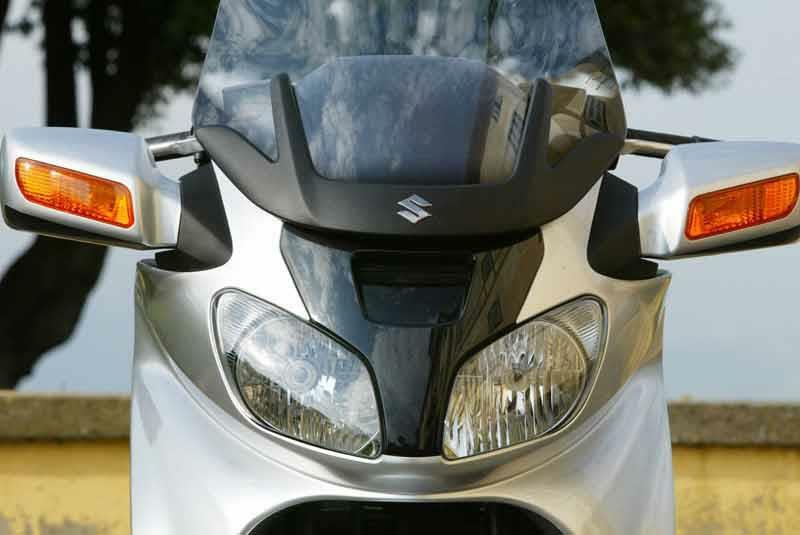 The smaller 250/400 Burgman models make better everyday commuters, with almost as much luggage space under their seats. Find a Suzuki Burgman 650 for sale. Underseat storage is vast, easily enough for commuters and solo touring riders. 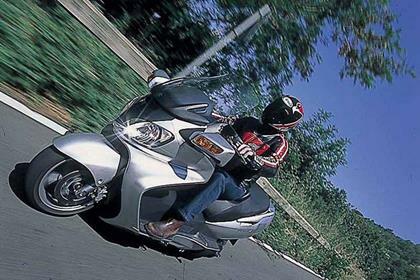 The 2004 onwards 650 models had an ABS equipped option, which is worth having. 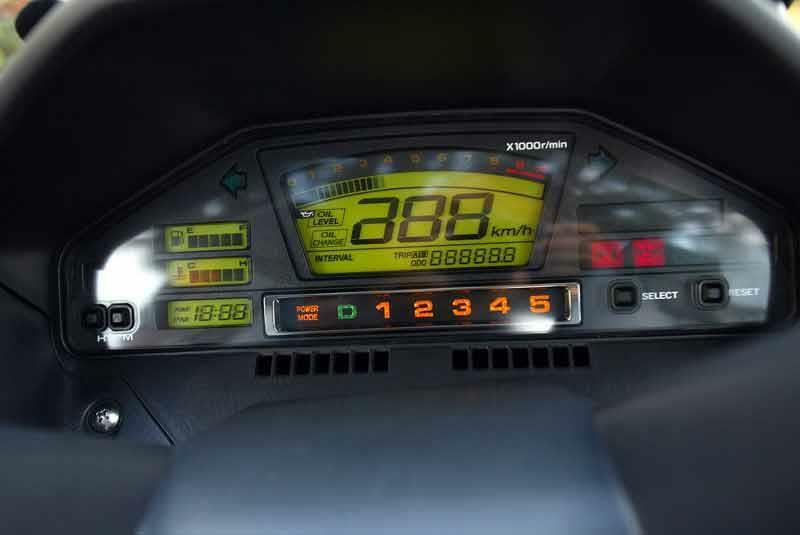 Excellent lighting, dashboard - plus electric folding mirrors. 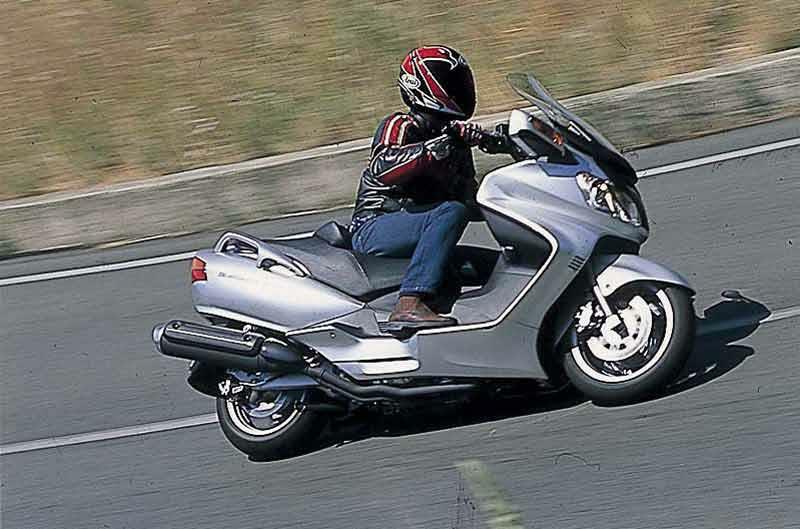 1999: Suzuki Burgman AN250 and AN400 models launched. 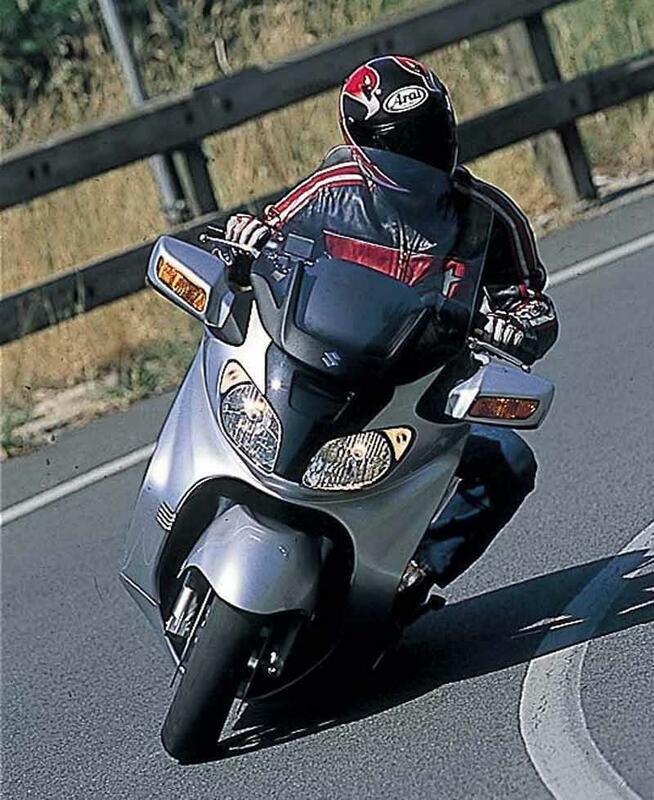 2002: Burgman 250 dropped, Burgman AN125 replaces it. 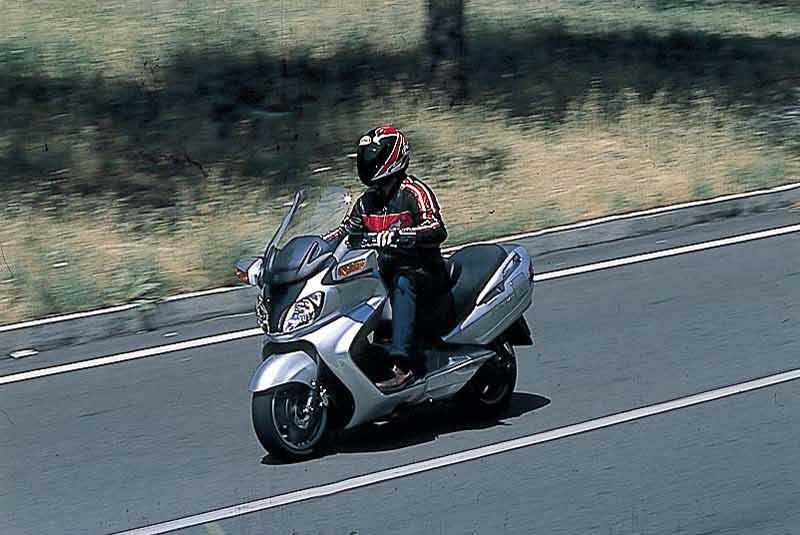 2004: Burgman 650 Executive appears. Burgman AN125; Burgman AN250; Burgman AN400. 6 owners have reviewed their SUZUKI BURGMAN 650 (2003-on) and rated it in a number of areas. Read what they have to say and what they like and dislike about the bike below. 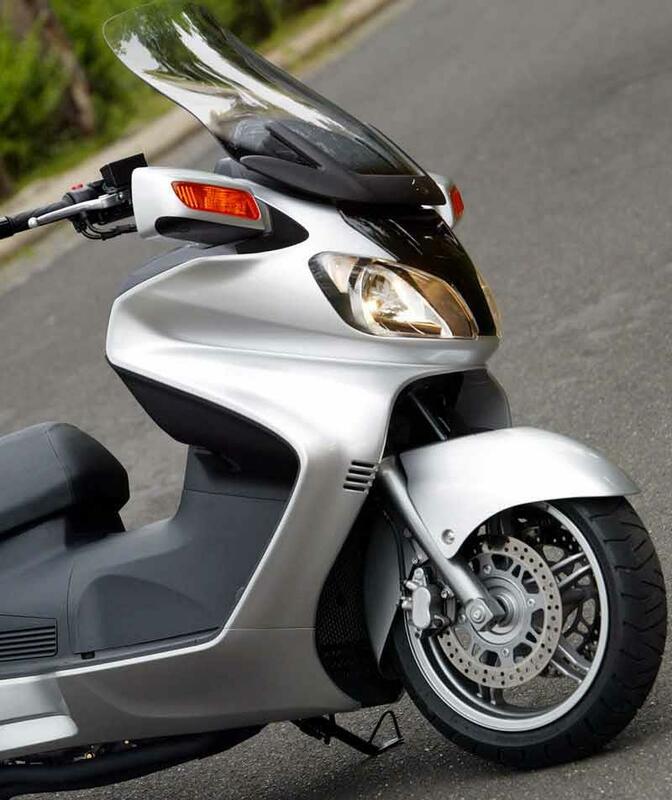 The Burgman 650 is a very practical machine, fun to ride and easy to maintain. It replaced the last of a long string of BMW bikes that I owned through the years, and I have not regretted moving to the Burgman. This replaced a 2008 Burgman 400, which was stolen. The gear driven final drive on the 650 makes it more difficult to back it Into the garage (particularly when cold) than it was with the belt drive on the 400. That has been addressed with the newer models. Once moving it is very easy to handle, with quite adequate power and reasonably good fuel economy. This is just light enough to be a practical commuter bike but heavy and powerful enough to be more than competent on the expressway for extended trips. I actually like the engine braking of the 2008 650. 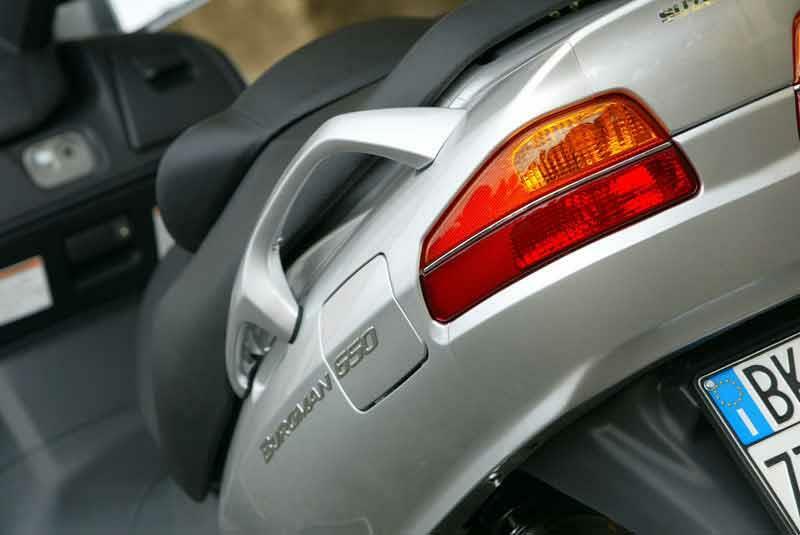 When I first went from a motorcycle to the 400 Burgman the lack of engine braking bothered me. On the 650 I can increase the amount of engine braking using "power" mode. This includes tire replacement and riding about 4,000 miles a year. That is way down from when I was younger. It is fabulous for those of us that have to commute and carry a lot of equipment. I am a musician, and my instrument (sometimes 2 trumpets) fit under the seat, locked up and out of site. I bought it on consignment through a dealer who had sold it it to the original owner and serviced it. An accomplished scooter but comes at a price. Great on fast country roads. Its performance will surprise other riders of conventional machines. Car drivers who perhaps think it is just another 125cc scooter can be left standing. A pity you never get to see their faces. A lovely and surprisingly quick motor. Thirsty in town, probably where it is going to be used most. Most small capacity cars are going to beat it on mpg. For most riders, the manual gear change facility is going to be redundant 99% of the time. A pity it wasn't fitted with something really useful instead, eg cruise control. You can buy extra luggage but would you ever need it, the under seat storage is cavernous. Having owned my 2007, 650 Executive for 2 1/2 years now I think it is a very capable One-Up cross country tourer. I am retired and use my scoot for pleasure only and have over 28,000 trouble free miles on it. I often take rides of 200-350 miles into Ohio Amish country or southeastern Ohio just to ride the twisties of the county roads. It handles them and higher speed sweepers quite well. I've had mine up to 107-108 MPH(GPS)many times and it never exibited any wobble or other negative handling characteristics. I have taken 2 long trips this summer, one of 3,000 miles and the other of 6,400 miles. During those trips I have beaten my scoot mercilessly, asking it to do 3, one thousand mile plus single day rides, and overall averaging 700 miles per day. It will cruise all day, day after day, at a true 75-80 MPH. The last trip (6400 miles in 9 days) my scoot carried over 350 pounds of rider/tools/luggage weight and I still got 49 miles to the USA gallon. My wife will ride anywhere with me as long as it is within 350 miles. Over that and she won't come due to the comfort level of the seat. My Scoot is 100% stock. I would encourage anyone considering this scooter to opt for the ABS. Now for the negatives; A little rough over elevated road seams and pot-holes due to smaller tires. Rear tire tends to wear out around 8,000 miles and the front tire 16,000 miles. It would be almost perfect if it had cruise control and a tire pressure monitoring system. The Suzuki Burgman AN650 is about the best bike/scoot that you could possibly ever want, I've had in my lifetime about 100 motorcycles, and this easily is the most neutral, the smoothest, the most economical and comfortable for rider and passenger that money can buy, how you can say this is wallowy I'll never know. Travelling through Germany never went under 100mph through to Poland and back again, so much so my passenger was falling asleep with the comfort. This bike/scoot needs seatbelts fitted to restrain passenger from falling off. It's true it's like your fav armchair on wheels, a bit like driving a Range Rover on two wheels, how the police do not use these as their bikes I'll never know. However, there is a glitch, the sidestand and the cutout control switch should be sorted as it picks up debris and interferes with the running of the machine causing the scoot to either cut out completely whilst running or has a mind of it's own to go manual or automatic and in which gear. I do not know who did the original review (but probably a sports bike rider) or on what useage the review was based upon. This review is based on 2 years and 10,000 miles+. Overall: Yes a true motorcycle covered in tupperware with a suprisingly responsive engine/transmission and chassis. Always sure footed it is suprising nimble which belies the rather Lardy look and statistics. 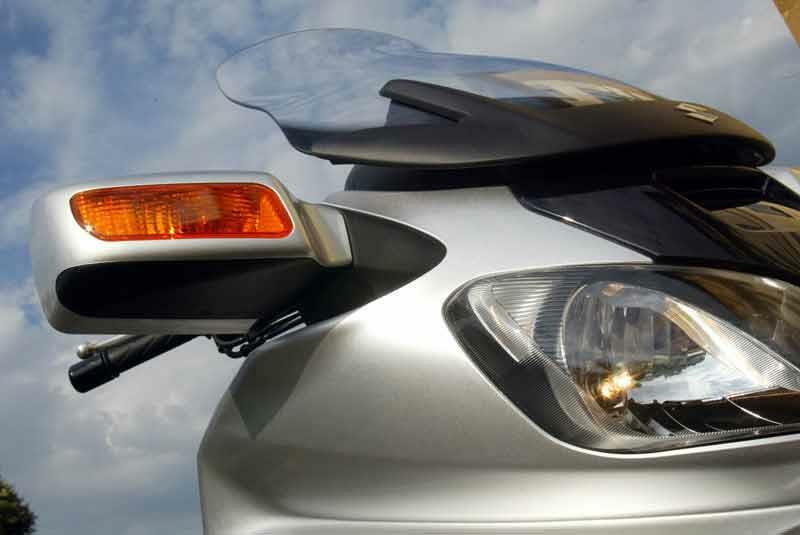 It is a versatile package and most definitely acquits itself well as a tourer. Engine/Transmission: This has to be covered as one system because that is how it is controlled. A very clever package that provides deceptive performance (no NOT SPORTS bike) which will put you at illegal speeds if you do not look at the instruments - key words - Deceptive, Fast! Few owners bother with the manual or 'tiptronic' option and most will leave in 'Drive' all the time - the more adventurous slipping it into 'Power'(Higher RPM threshold for ratio changes) for the twisties. Ride and Handling: I agree this is a Lardy machine! The stock screen is nearly always swapped out by owners (Givi or Clearview) and a number of owners have uprated the shocks. That said with the rear suspension adjusted for the load carried - the lardy does not wallow in high speed twisties (at all! )A common phrase by experienced owners and riders is that it always feels planted. The 'smaller' than 'conventional' wheels are perhaps the compromise in the design and there can be no arguing that it can be uncomfortable taking a pothole.The brakes are excellent but again deception rules with such a low centre of gravity there is very little front end dive even in the most severe application - this weight distribution also allows the rear brake to be much more effective than on a 'conventional' bike. Equipment: In addition to the 52 Litre (2 full face helmets worth) underseat storage area, there is a lockable glovebox (with accessory socket) and two dashboard compartments. More than sufficient for everyday use, those that undertake serious touring normally fit the Givi 52 - and the mentalists fit side panniers too! I won't metion the die hards who haul camping trailers with them (seriously). Do not underestimate the advantage of weather protection afforded by this body style - really comes into its own in the UK!! Quality and Reliability: The basic package is well designed and executed and is typically reliable. I must agree the material specification and preservation is typically Suzuki and lets the package down from a salt laden winter perspective. The alloy wheels are particularly susceptible to attack. Value: The ticket price is far too high (who pays that anyway)In terms of sheer practicality, versatility and grinnability - it has been worth every penny.